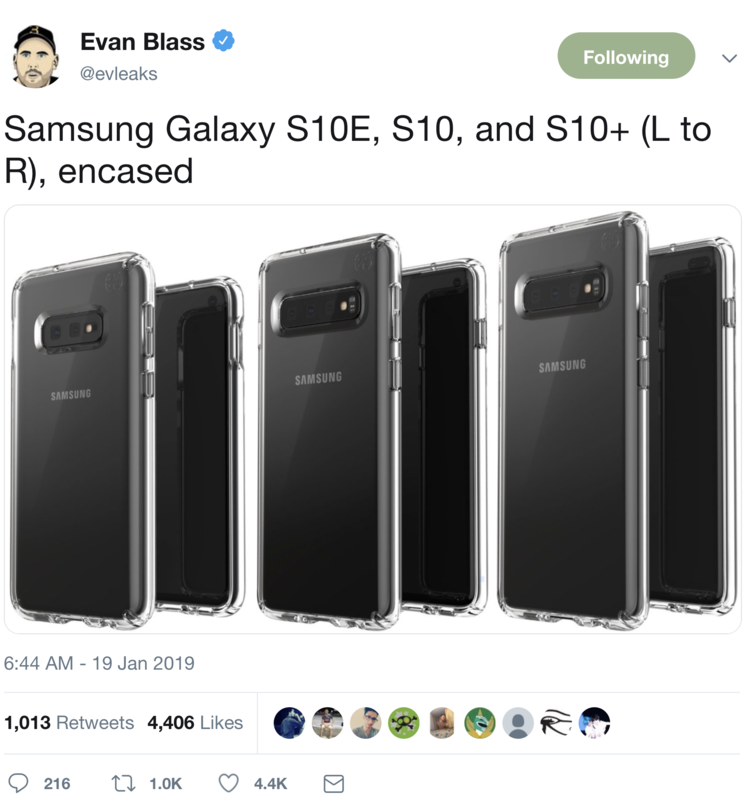 According to a leaked image from Evan Blass, Samsung’s new flagship device could come in three different versions — the Samsung Galaxy S10, the Samsung Galaxy S10+ and the Samsung Galaxy S10E. That new leak lines up with previous leaks. As you can see on the photo, the new devices don’t have a notch. They feature a hole-punch selfie camera instead. If you’re looking for the fingerprint sensor, Samsung could choose to embed it in the screen. Just like in previous years, in addition to the main S10, there will be a bigger version of the device — the S10+. On this photo, you can see that the bigger version has two selfie cameras instead of one. But the S10E is a new addition to the lineup. Samsung is launching a more affordable version of the S10 at the same time as the S10. The S10E features two cameras on the back instead of three for instance. I wouldn’t be surprised if the S10E had an LCD display instead of an AMOLED display as well. Samsung plans to unveil the Galaxy S10 at an event in San Francisco on February 20. We’ll have a team on the ground to tell you more about the device.